My idea was to design a multifunctional lounge chair which can be place in different styles of interior, just using different materials and colors of its. Primary aim was also to achieve design with clear lines and simple look. 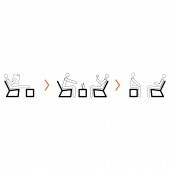 Lounge Chair follows the ergonomic principles of comfortable seating and pure geometric lines that abstractly form the letters Y and O. It creates a contrast between a massive, wooden construction and a light, transparent composite cloth of the seat and back. The tension of the cloth is achieved by the interweaving of fibres (corset look). The lounge chair is complemented by a stool that becomes a side table when its rotated. A range of color choices allows them both to easily fit into interiors of various styles. The project started in November 2011 and finished in September 2012 in Ljubljana (Slovenia). 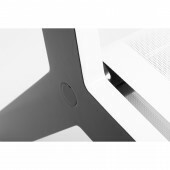 It was exhibited in the Month of Design 2012 from October till November 2012 in Ljubljana, and it was nominated for the award of the Design of the Year 2012. Yo was also presented in Top Ideas, selection of top creative interior design ideas at the Ambient Ljubljana Furniture Fair. 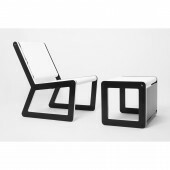 Lounge chair and stool (table) is made of plywood (construction) and flexible composite material (seat and back). Flexible composite material is high-tenacity polyester yarn which is also 100% recyclable. The hardest part was to achieve appropriately tension of the cloth. To create nice corset look. Rok Avsec - ROPOT, 2012. Yo Lounge Chair by Rok Avsec-Ropot is a Nominee in Furniture, Decorative Items and Homeware Design Category. · Click here to register today inorder to be able to view the profile and other works by Rok Avsec - ROPOT when results are announced. 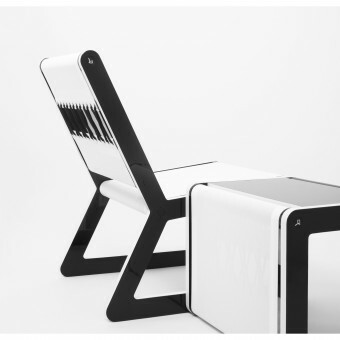 Yo Lounge Chair by Rok Avsec-Ropot is Winner in Furniture, Decorative Items and Homeware Design Category, 2012 - 2013. · Press Members: Login or Register to request an exclusive interview with Rok Avsec - ROPOT. 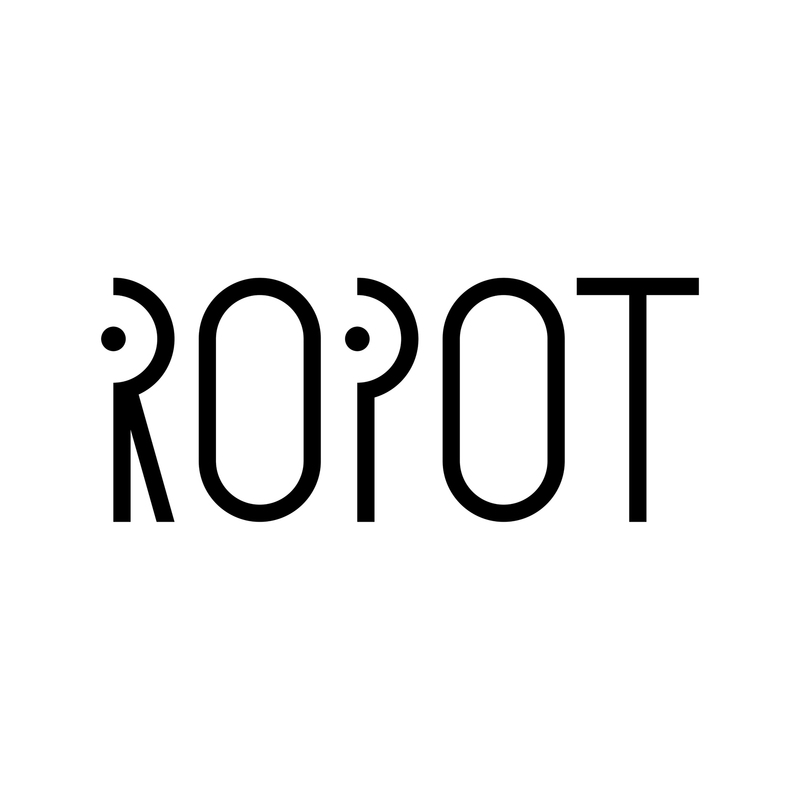 · Click here to register inorder to view the profile and other works by Rok Avsec - ROPOT. Did you like Rok Avsec-Ropot's Furniture Design? Did you like Yo Lounge Chair? Help us create a global awareness for good furniture design worldwide. Show your support for Rok Avsec-Ropot, the creator of great furniture design by gifting them a nomination ticket so that we could promote more of their great furniture designs.